As a coach and teacher, I try to make sense of the world and help others gain clarity as well. There are some experiences that just can’t be made sense of. Life is a mystery sometimes. My friend, Rich Hansen, just release a book called Paradox Lost: Rediscovering the Mystery of God where he explores Biblical paradox. We spoke together about how paradox shows up in coaching and in life. Keith: Congratulations on your new book! 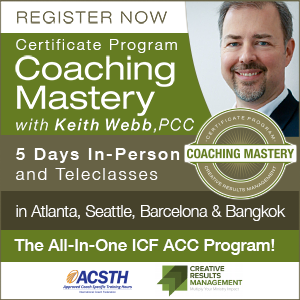 I first heard about it when you attended the Coaching Mastery Certificate Program last September. What’s the book about? Rich: The essence of paradox is the tension created by bringing seemingly opposite ideas into relationship with each other. Such tensions are prominent throughout Scripture. What I hope to offer are ways we can recognize these paradoxical tensions, reflect on them, and ultimately harness them as “windows” into knowing God better. 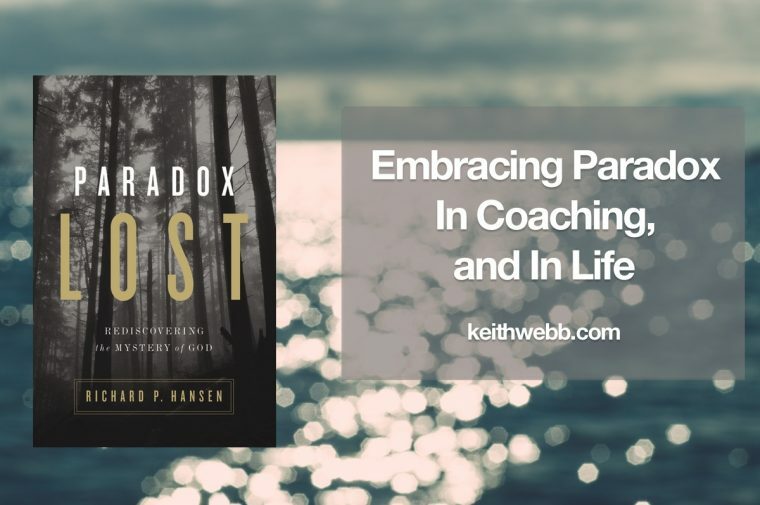 Keith: So, what does paradox have to do with coaching? As coaches, we should give all the credit to God for whatever good may happen, yet ascribing it all to God in no way abrogates our personal responsibility to give the best effort we can. I like what the Scottish theologian Donald Baillie wrote: “Never is human action more truly and fully personal, never does the agent feel more perfectly free, than in those moments of which he can say as a Christian that whatever good was in them was not his but God’s.” That’s a paradox! I think it happens in coaching all the time. Keith: What does encountering paradox feel like? Rich: In the book, I say encountering paradox in our spiritual journey is like stopping to watch a street performer on a crowded sidewalk. He or she compels our attention: we stop and watch. Paradox in life and Scripture is intriguing to me in the same way: it draws me in, partly because I cannot explain or solve it. It’s like the piece of scotch tape stuck to your finger you keep shaking it to remove, but never can. Coaches “try hard” yet, paradoxically, our best coaching is when we stop “trying”! 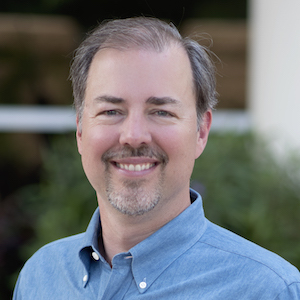 Keith: Is there only biblical paradox, or paradox in daily life as well? Rich: I use biblical paradox to shine a spotlight on all the paradoxical tensions we constantly live within every day. Ordinary life is quite paradoxical on any number of fronts. To take just one example, America has become tragically politically polarized precisely because we have lost the paradox the ancient Greeks knew well—truth often exists in the tension between opposite extremes. To live successfully in the 21st century, we will need to become more comfortable living within paradox. 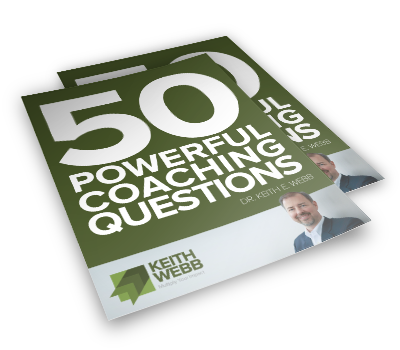 Keith: Now that you’ve been coaching awhile, where have you ever seen paradox arise in your coaching conversations? First order change is when a system uses the resources within it to change itself. Second order change is when something from outside the system stimulates change, often by asking questions that cause the system to see things in new ways. My client observed that some of my questions had caused him to see things in new ways he never would have on his own. Jesus often asks somewhat paradoxical questions that “reframe” reality and get people thinking outside the box they’ve been trapped in; we do the same in coaching. 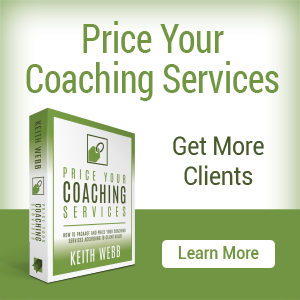 Keith: Any other paradoxical observations about coaching? He used the “try harder” refrain as a paradoxical way of getting me to realize that my issue was, in fact, trying too hard. Rather than being Superman saving the day, I needed to listen well and gradually my patients would open up to me. It’s a lesson I’ve never forgotten. As coaches, I think we easily get caught in this “try harder” paradox; yet, paradoxically, some of our best coaching happens when we’re not trying very hard at all! Keith: So true, Rich. Thanks for showing us the paradoxical side of coaching. Rich: Thanks so much, Keith, for the opportunity. I hope your readers will find Paradox Lost: Rediscovering the Mystery of God both stimulating and challenging. 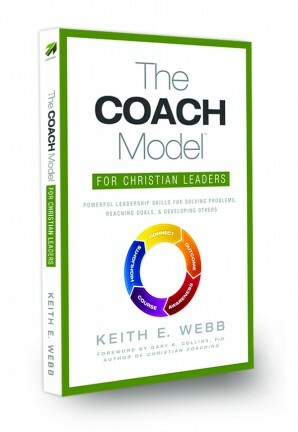 There are many more insights about leadership and coaching waiting to be discovered! 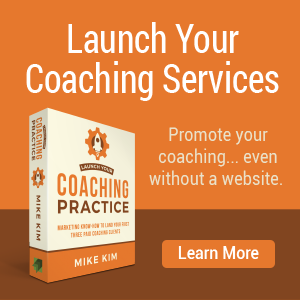 Question: What paradoxes have you encountered in coaching? You can leave a comment by clicking here. 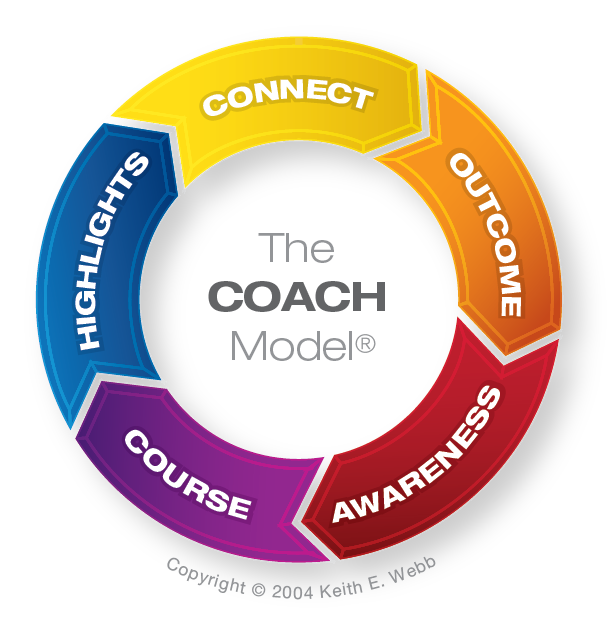 What’s The Difference Between Executive And Life Coaching?